You’ve likely seen them dotting the sides of the highway outside of Austin, their deep indigo color something many Texans – native or not – hold near and dear to their hearts. Highway driving each spring lends a view of a bright and brilliant landscape, with fields of bluebonnets offering the perfect place to take a roadside rest, snap some family photos, or enjoy in passing between Central Texas towns. These parks, preserves, and roadside destinations are a few of the best places to catch a glimpse of Texas’ beloved flower this spring. There are 650 Native Texas plant species are on display at Lady Bird Johnson Wildflower Center, with bluebonnets making an appearance each spring. Explore the garden, grab some grub in the café, and shop souvenirs at the gift store during your visit. Patches of wildflowers tend to pop up along Lady Bird Lake Trail in the spring, adding a bit of color to the landscape for those looking to hike, bike, or run. Start on the boardwalk in Riverside and head west on the trail for the best views of downtown, spotting wildflowers along the way. The sprawling grounds of St. Edward’s University are no stranger to bluebonnet blooms in the springtime. Head to the picturesque university off of South Congress Avenue for fields of bluebonnets to explore. This park sits just off the Colorado River north of Pleasant Valley and Montopolis, offering an urban oasis with a surprisingly scenic landscape. Bluebonnets can often be seen here in the spring, and the park offers a safer place for families looking to shoot photos away from the bustle of the highway. 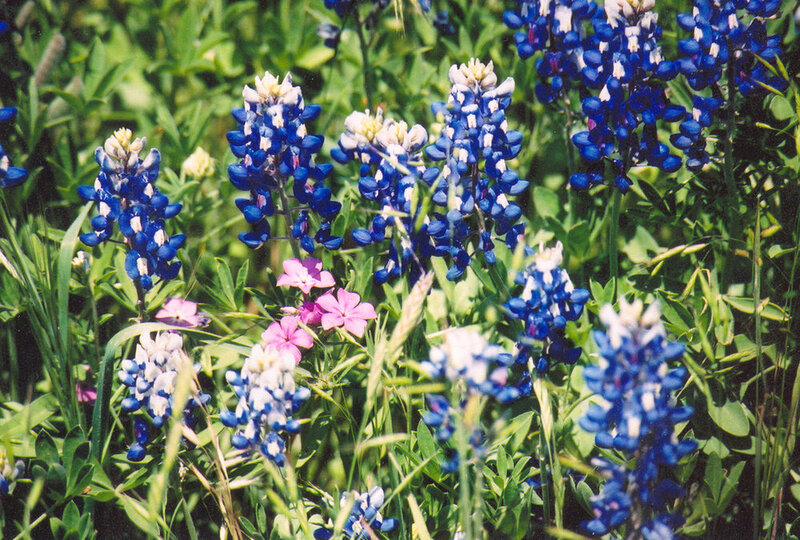 Drive in any direction outside of Austin, and you’ll find patches of bluebonnets painting the sides of the highway. Take a road trip to a Central Texas town this spring, and see the wonder that is Texas wildflowers!